The International Investment Bank provided us with the second grant for execution of a project on restoring peatlands in Russia. 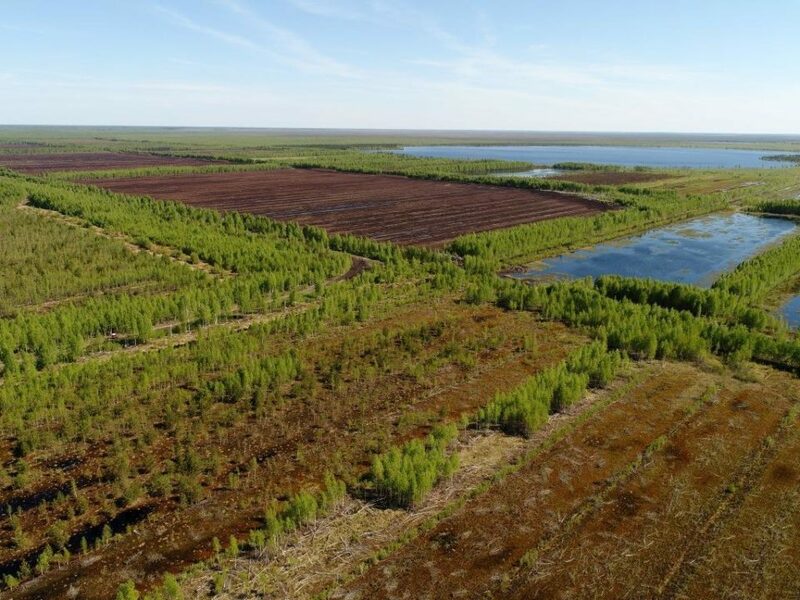 Home » News » Peatland Treasures » Climate mitigation and adaptation » The International Investment Bank provided us with the second grant for execution of a project on restoring peatlands in Russia. On June 4, 2018, Nikolay Kosov, Chairman of the International Investment Bank Board, presented a certificate for 40,000 euros to our colleagues in Russia during the reception on the occasion of the 109th International Investment Bank Council Meeting held in the city of Yaroslavl, Russia. Following the first grant for 70,000 euros that we receive in 2016 to continue our peatlands’ restoration projects in the country. 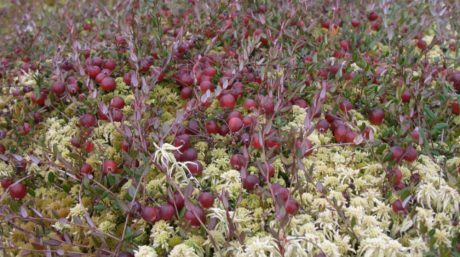 “This grant for Wetlands International and all the partners involved in the project on restoring peatlands is indicative of high appreciation for the work we’ve already done and represents active support of our plans for the future. 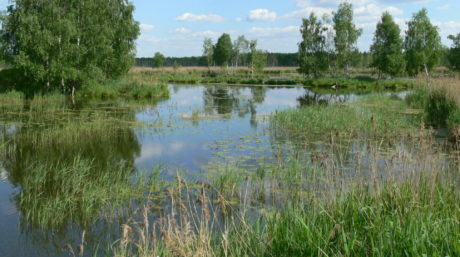 We are glad that the Bank helps meet the challenge of restoring peatland ecosystems, which is very important for the ecological situation in Russia, and contributes to the implementation of the most up-to-date technologies and approaches to nature conservation”, said Tatiana Minayeva, project coordinator at Wetlands International. 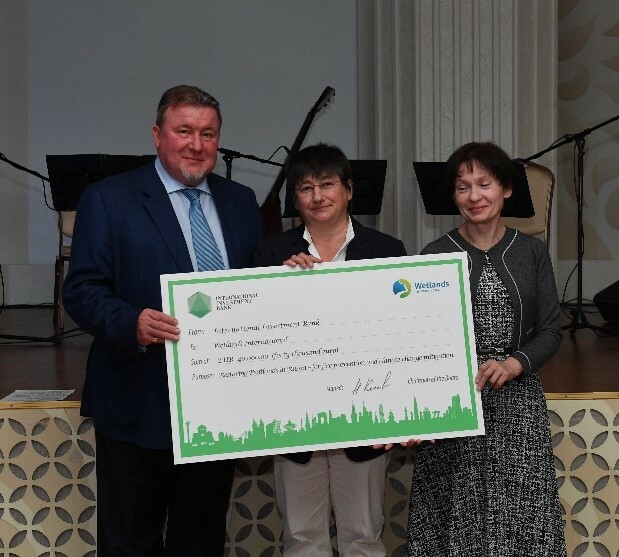 This grant is intended to support activities related to the implementation of the project on “Restoring peatlands in Russia – for fire prevention and climate change mitigation”, including the development of methods of economic stimulation of restoring damaged wetlands. These include, among other things, the implementation of cultivation technologies for waterlogged soils, which is in line with the measures to mitigate the effect of climate change on agriculture proposed by the UN Food and Agriculture Organization (FAO). 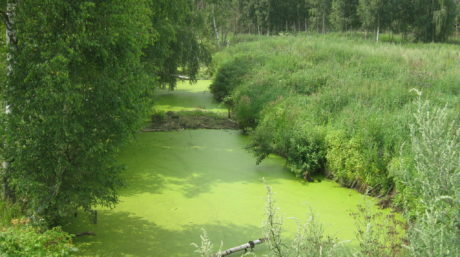 This approach will make it possible to avoid further drainage of peatlands and wetlands and will contribute to the development of economic incentives of restoring the hydrological regime of the previously drained lands by design and implementation of technologies for growing crops resistant to waterlogged soil conditions. “Provision of environmental grants fully complies with the mission and the goals of our institution as a diversified development bank that aims to achieve a harmonious balance between nature conservation and development of its member countries’ economies, first of all to improving the living standards of their citizens. All-around support of “green” projects and consistent environmental protection activities are the Bank’s strategic priority to which we will continue to adhere”, said Nikolay Kosov. The International Investment Bank pays special attention to nature when implementing its social responsibility projects and initiatives. Since 2015, the Bank has developed internal Guidelines on Assessment of the Environmental and Social Impact of the Projects Financed. Since 2016 the bank has been providing grants for environmental programs in its member states, including charitable contributions to WWF for protection of wildlife in Mongolia and Vietnam and financing development of the Water Risk Filter tool, the WWF’s flagman online product for water monitoring. The International Investment Bank and Wetlands International are starting communication to explore further collaboration.